While the Santa Claus was around to reach with Jingle Bells and lots of surprise gifts, we at Cognus Technology thought to spice up everyone in the Christmas mood. To fill the excitement and merry feel among employees, we announced Christmas Celebrations at Cognus with entertainment-filled events and of course a lot of surprises. We decorated all the departments with illuminating Christmas trees, balloons, snowflake patterns on the entrance & in cubicles to give the perfect look & feel. 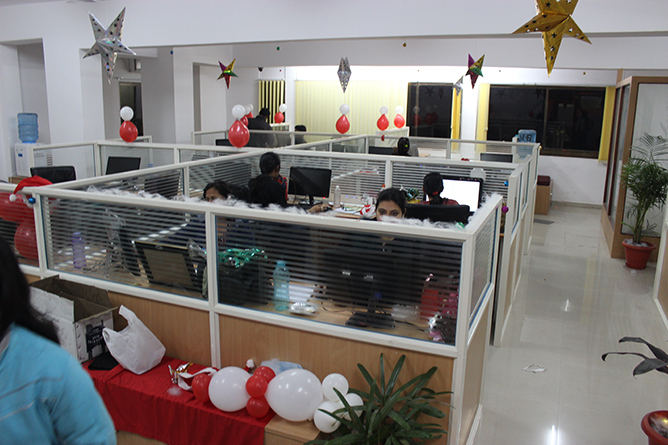 The workspaces were blossoming in Red color as the employees also followed the Red & White dress-code for the day. The evening saw a huge delight when the Santa visited the office to give chocolates and gifts to every employee. The complete atmosphere was dipped into Christmas mood and the teams enjoyed gobbling on cakes and snapping pictures with Santa. 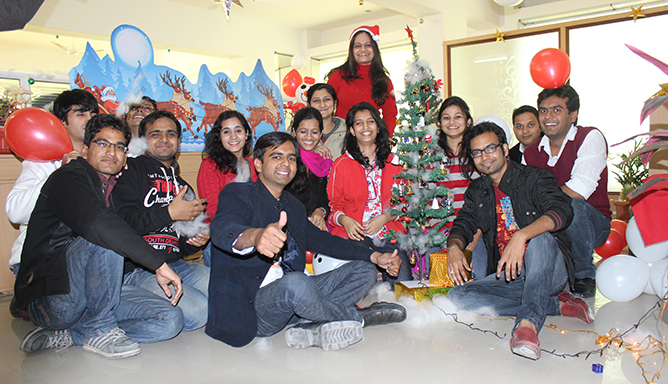 Here are the quick glimpses of the amazing moments of Christmas 2013 Celebration at Cognus. The celebration continued till 1st Jan, 2014 to welcome the New Year, wearing multi-colored clothes so that the year brings vibrant and challenging projects and opens up more roads to success & great heights. Check out the chilling moments below. We all greeted a great new year to each other, to our clients and concluded the celebration with a resolution to attain more client satisfaction, expand the capabilities and make footprints in more countries and industries.